FINANCE ministry permanent secretary George Guvamatanga and his top team had a torrid time Monday before the Parliament's public accounts committee as they were grilled over government's runaway expenditure and repeated failures to comply with the law. Led by MDC deputy chairman and former finance minister Tendai Biti, MPs demanded answers on why ministry bureaucrats had over the past five years repeatedly failed to comply with legal requirements in the management of public finances. Treasury has, for several years, not produced two public debts schedules per year as required by the law. In addition, budgets have been overrun since 2014 with government borrowing to finance the deficit without seeking parliamentary approval as required under the constitution. MPs said the fact that Guvamombe and finance minister Mthuli Ncube were new at treasury was not an excuse. They insisted that most of the senior bureaucrats had been at treasury for years and should, therefore, explain what was happening at the ministry. "Was the non-compliance with the law a negative oversight or wilful default?" Responding Guvamombe said; "Honourable chairman, until I have done a full check of all the loans that have been contracted and not presented to Parliament, I would not be in a position to respond to that question." Biti continued; "Would you fault this committee if it came to the conclusion that the honourable and esteemed secretary for finance could not offer a reasonable explanation for non-compliance. "Therefore, the finding of this committee is that there was wilful non-compliance?" Guvamombe insisted that he was still carrying out a full review process and could only respond adequately after its completion. MPs then asked Guvamombe to allow treasury officials he brought to the hearing to respond, since they had been in the ministry longer than him. Trying to protect his officials, Guvamombe said; "It depends on what the honourable members would want to know …"
"We want to know why the ministry of finance was not complying with the law in gazetting debts contracted and in presenting two public debt schedules per year as is required by the Constitution. "That's what we want to know at this stage, but more questions are coming." The deputy accountant general said he could not respond because the matter fell "under the remit of the debt management office". Told by Biti that; "Under the law it's your responsibility; it's your job," the deputy accountant general lamely responded; "unfortunately, Mr chairman, I can't answer the question." This resulted in committee members wondering loudly whether "these people are being paid, and for what?" MPs further demanded to know why the ministry had not approached Parliament with supplementary budgets after overspending in 2016 and 2017. Guvamombe again told the committee that he was still conducting a full review of the ministry's operations, but MPs would have none of it. Said Biti, "The government has been overspending; there has been a budget deficit. "The question referred to 2016 and 2017, but you and I know that, since 2014, the government has been running an increasing budget deficit. "And if you have a budget deficit, the law is very clear; you come to Parliament with a supplementary budget because you are not spending money which is yours. "The money you are spending doesn't belong to government, it belongs to Parliament; it belongs to the people of Zimbabwe. "So, the question is very simple; you guys have been overspending; why are you not coming to Parliament for a supplementary budget? "Surely we deserve a better a better answer, Cde George." 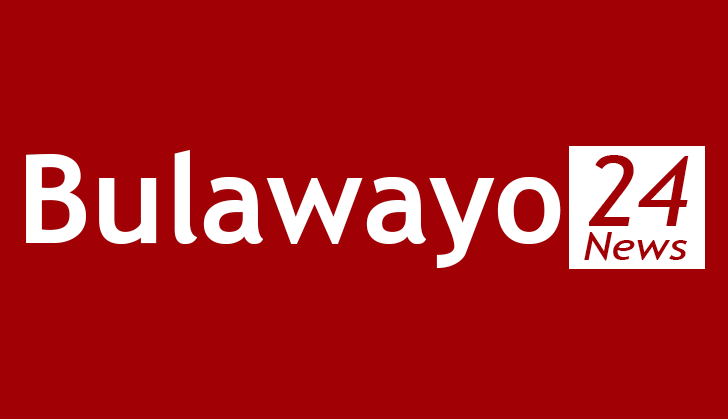 Guvamombe admitted that "there could have been issues which were not handled properly, which, at the moment as a team, we are now trying to regularise". "And before we have carried out a full review to understand where the breakdown was – whether it was the process, whether it was a system issue; whether it was negligence or just wilful neglect, it would be very difficult for me, at this moment, while the process is still ongoing to the san say this the position … this is the answer." But the legislators persisted and an increasingly flustered Guvamombe accused Parliament of being equally culpable for the outrages. He reminded the legislators that they too had, likely, not exercised their oversight role in the past. "We are very much fully aware of the constitution requirements and the need for us to comply," he said. "But where was parliament all along? Why were these people not summoned? Suddenly we have a Public Accounts Committee, where was it all along? "I take full responsibility for the omissions, but this is a shared responsibility that has not been shared. I do not think I am wrong." He continued; "I humbly ask you to continue to do such work in future. "This should have been done five or six years ago. I have developed flue due to reading piles and piles of files in my office. "That is why we have Parliament for the oversight. It is also failure of parliament; the public accounts committee and the finance ministry. "We share the same issues of concern. We are equally unhappy and disturbed by the non-compliance. "We are putting everything into place so that we become compliant."